The hippocampus is a key brain area for formation and retention of memory. Memory storage, or consolidation, is associated with oscillating waves of electrical activity in networks of hippocampal neurons. This “ripple activity” occurs as memories are replayed, and disrupting it results in memory deficits. The activity of deeper brain structures is reduced during ripple activity, which suggests that this hippocampal process may be regulated by these deeper, subcortical brain regions. A new study investigated populations of neurons in the brainstem area known as the mesopontine median raphe (MnR) to determine the effects of these neurons on hippocampal ripple activity. Simultaneous recording of MnR and hippocampal neurons showed that activity of MnR neurons is correlated with ripple activity, including one population of MnR neurons whose activity decreases before ripple events and increases immediately after. To better understand how the activities of these brain regions are linked, MnR neurons were experimentally activated and inhibited; activation of MnR neurons suppressed ripple activity, while inhibition increased it. Activation of these MnR neurons also impaired the retention of fear memories, indicating that MnR suppression of ripple activity interferes with the consolidation of memory. 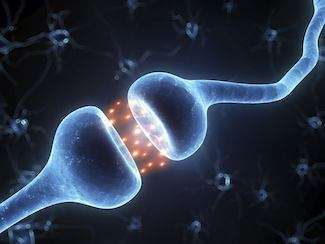 This study broadens the understanding of the brain circuits that regulate memory processing in the hippocampus, and could open new lines of inquiry to help address memory impairments associated with conditions such as PTSD and addiction. Wang DV, Yau HJ, Broker CJ, Tsou JH, Bonci A, Ikemoto S. Mesopontine median raphe regulates hippocampal ripple oscillation and memory consolidation. Nat Neurosci. 2015 Apr 13. doi: 10.1038/nn.3998. [Epub ahead of print] PubMed PMID:.